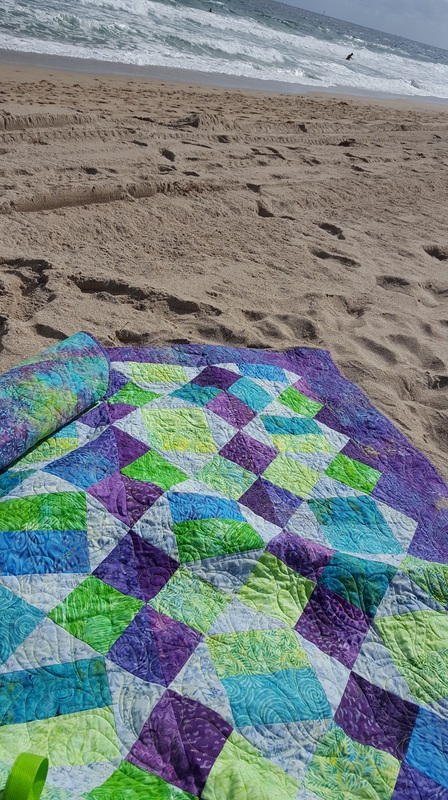 After finishing the “Sea Glass” version of R-W-B Boise, I wanted some good photos of the quilt. 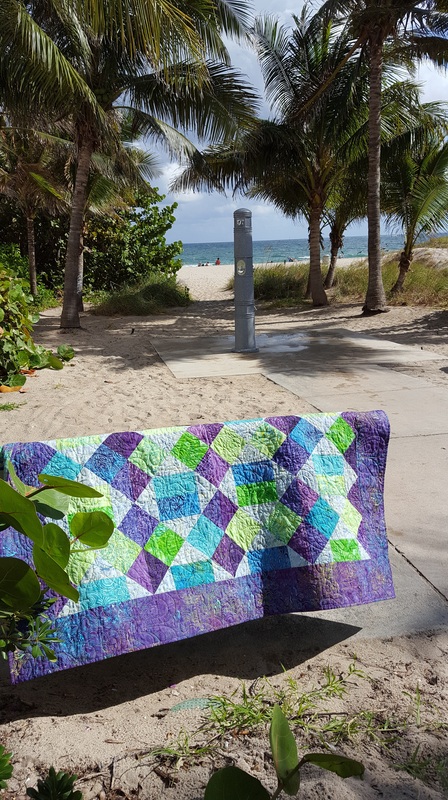 The quilt was a present for my step daughter and it was staying in south Florida. I wanted a beach picture! 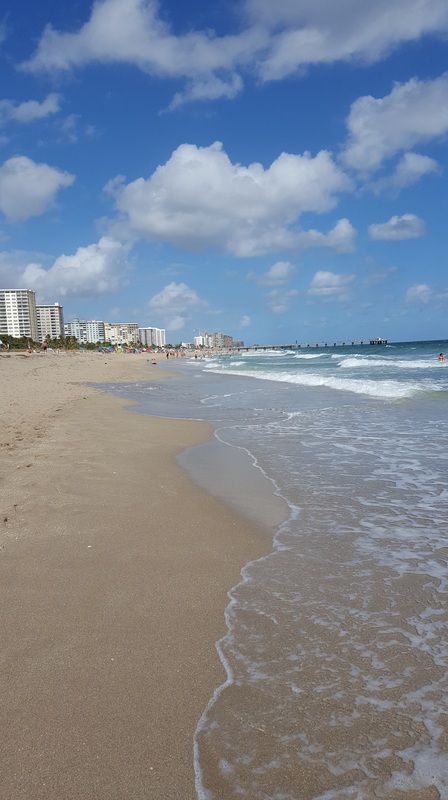 So, one morning I headed to the beach. It was a very windy day and very difficult to get a photo. I did what I could to get some shots. I’ll put a few below! I love the colors of the sea! It is an unending inspiration for color choices. 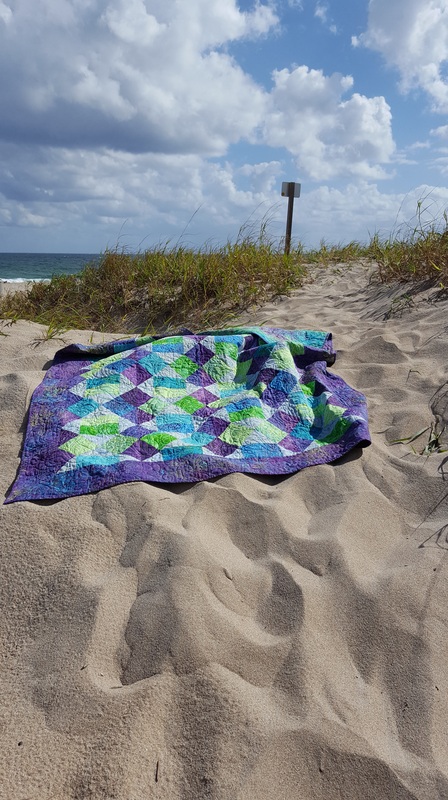 #1- don’t take photos on a windy day! 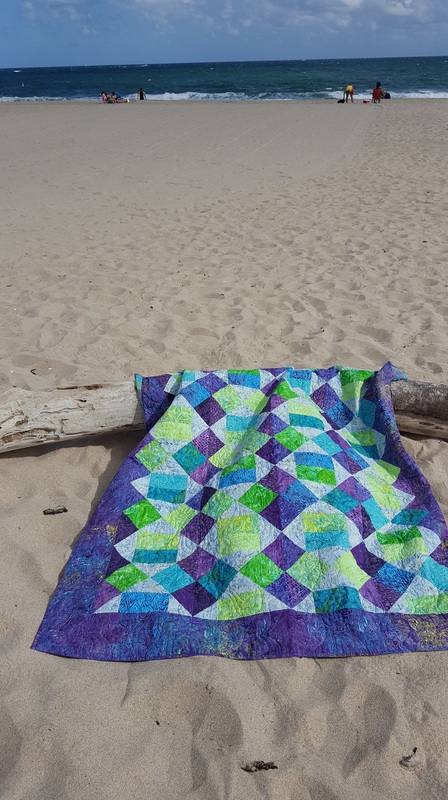 It is difficult to keep the quilt in place. Tomorrow night I will be giving a lecture and trunk show to one of the local guilds I belong to. 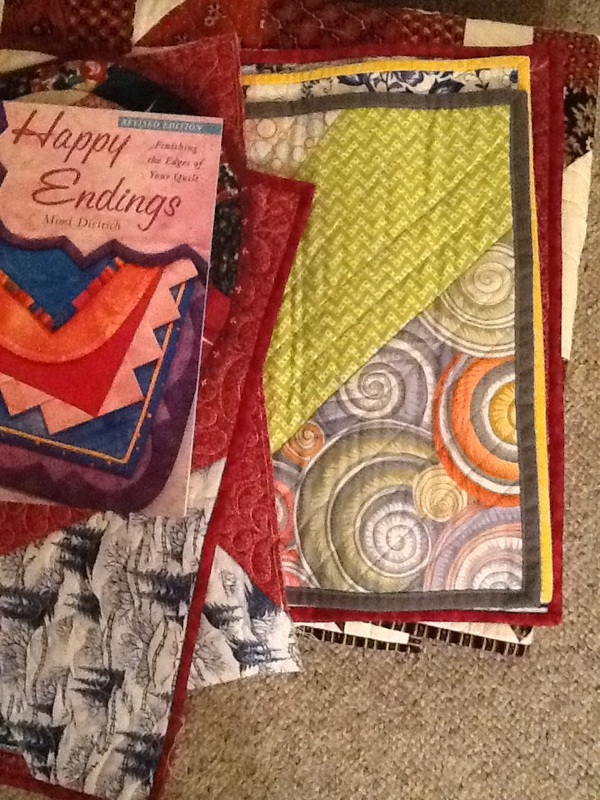 My lecture is ” Binding Aren’t Boring, They’re BRILLIANT!” Some of my samples are ready to go, along with a favorite reference book, Happy Endings by Mimi Dietrich. I look forward to sharing tips and insight to better bindings. I will also be doing a workshop on my “Four” Dinner…or any other meal! Placemats. With their back to front bindings, the placemats are a great way to learn a new binding application! 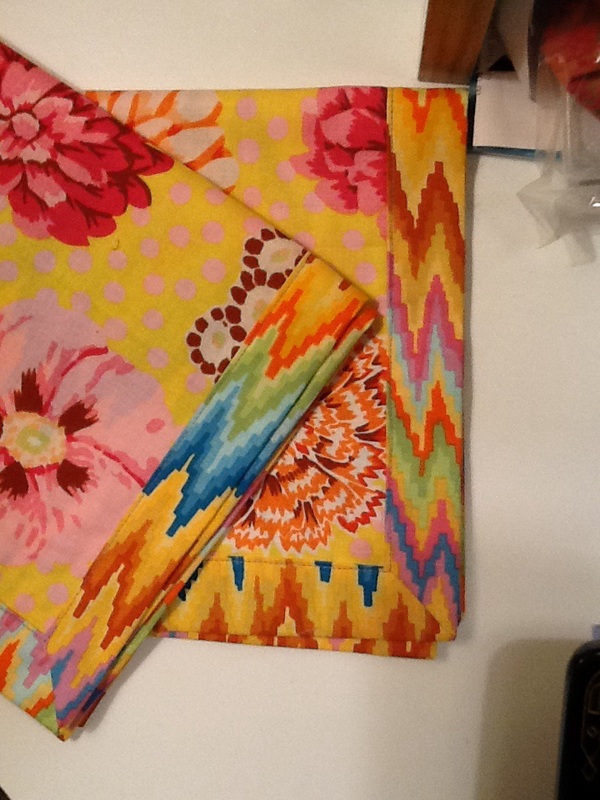 The back to front method can be used to make napkins! I’ve made a couple samples, shown below. #2- use back to front bindings on placemats and napkins!